﻿ Dental emergencies. Dental Clinic CCEO in Playa de San Juan. Alicante. A dental emergency is defined as the sudden and unexpected onset of a pathological condition that causes a spontaneous demand for care, the treatment must be immediate and urgent. 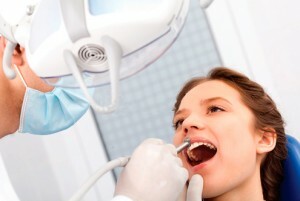 We shall take effective measures to solve your dental problem. This is usually associated with the tooth´s nerve. If there is pain, even after taking painkillers contact us and ask for an emergency appointment. Usually associated with an infection of dental origin. If you experience pain, even after taking pain relief contact us and ask for an emergency appointment. If the pain subsides after taking pain relief, contact us and schedule a regular appointment. This is regularly associated with tooth decay (caries). Avoid stimulating the pain, and contact us and schedule a regular appointment. Don´t forget to bring the tooth, or tooth fragments, if any. Apply direct pressure to the bleeding area with a clean gauze. If the bleeding doesn´t stop, go to the emergency room of a hospital. Try to remove the object with dental floss. Guide the floss gently to avoid cutting the gums. If you cannot remove the object, please contact us . Do not attempt to remove the object with sharp or pointed instruments. Immobilize the jaw by any means (handkerchief, tie, towel, etc. ), if swelling is present, place a cold compress to the outside of the cheek, and immediately go to the emergency room of a hospital.